Covidien Maxon Polyglyconate Sutures are monofilament absorbable sutures of long-term absorption profile with an absorption time of 180 days. These Sutures are composed of polyglyconate which is a copolymer of glycolic acid and trimethylene carbonate. 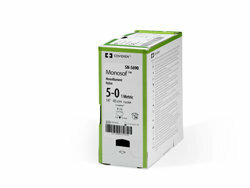 They are uncoated and come in both clear and green colour.The monofilament construction helps in smoother passage of the suture through the tissue and reduces the chances of tissue drag, scarring and trauma. 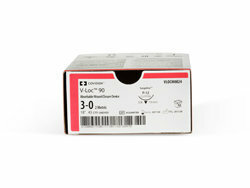 These sutures have double looped single strands which may reduce closure time by 50%. 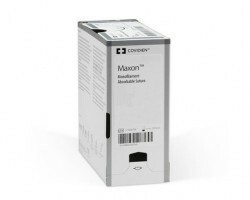 - Covidien Maxon polyglyconate sutures have a tensile strength of 80% at 1 week, 75% at 2 weeks, 65% at 3 weeks, 50% at 4 weeks and 25% at 6 weeks. 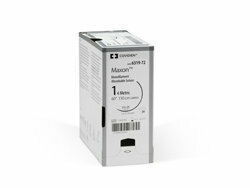 - The in- vivo tensile strength retention is 6 weeks. 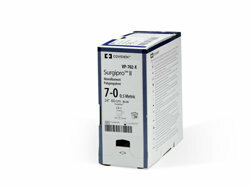 - These sutures induce minimal tissue site acute inflammatory reactions. - The encapsulation of the suture by connective tissue is followed by progressive loss of tensile strength and hydrolysis of the suture leading to absorption and metabolism by the body. 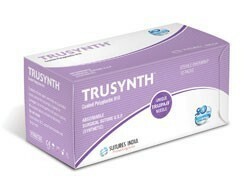 - During experimental studies, these sutures did not induce teratogenicity, mutagenicity, antigenicity and carcinogenicity. 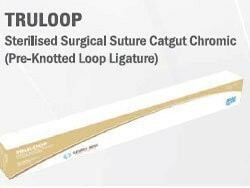 - These sutures are indicated to be used in general soft tissue surgeries, fascia closures, pediatric cardiovascular surgeries, and surgeries for patients with compromised healing. The use of these sutures is not indicated for cardiovascular surgeries, ophthalmic surgeries, neurological surgeries and fixation of synthetic grafts. Maxon Polyglyconate sutures shouldn’t be used in surgeries where tissue approximation is required for a long period of time. 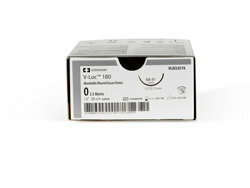 These sutures are manufactured in the USP 7-0 to 1 and the sterilization is done by ethylene oxide. 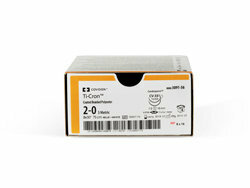 - Covidien Needles recommended for use with Covidien Maxon Polyglyconate Sutures are Surgalloy, DermaX and Protect Point.